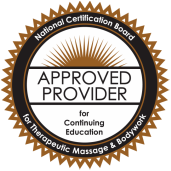 We are a consortium of bodywork educators dedicated to advancing the field through continuing education. To provide excellent and affordable continuing education to serious students in a variety of unique learning formats. The teachers participating in this Project all have more than 10 years experience studying, practicing and teaching his or her unique combination of modalities. Ask us about holding courses at your location!